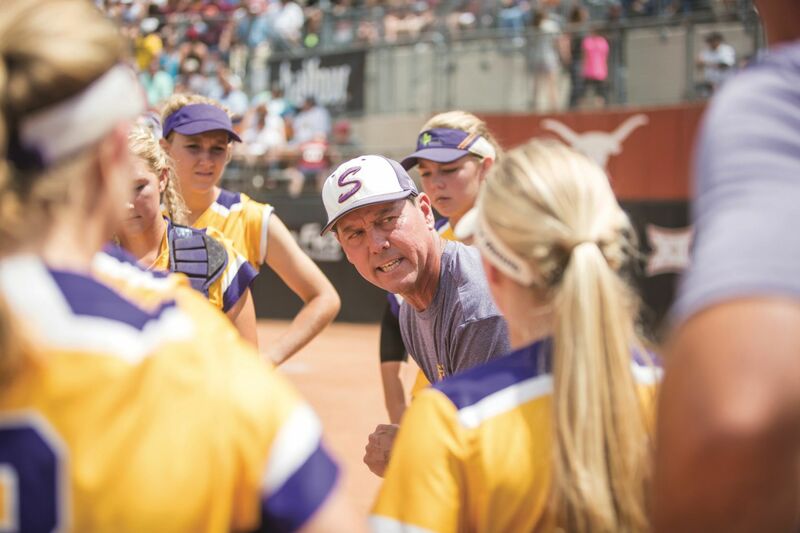 Shiner softball coach Steven Cerny talks to his team during their game against Bells in the UIL Class 2A Softball State Championship at Red and Charline McCombs Field in Austin in 2017. 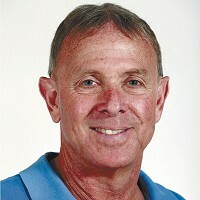 Steven Cerny planned to spend a few years at Shiner before moving on when he began his high school coaching career in 1988. But Cerny never left, and he has no regrets. Cerny, 54, will finish his three-decade career at Shiner after announcing his retirement Monday, effective at the end of the school year. “I would have waited until the end of the year and go with it,” he said. “I just didn’t think it was in the best interest for Shiner. I didn’t want to leave them hanging. Cerny has had unparalleled success at Shiner, winning five state championships in three sports. 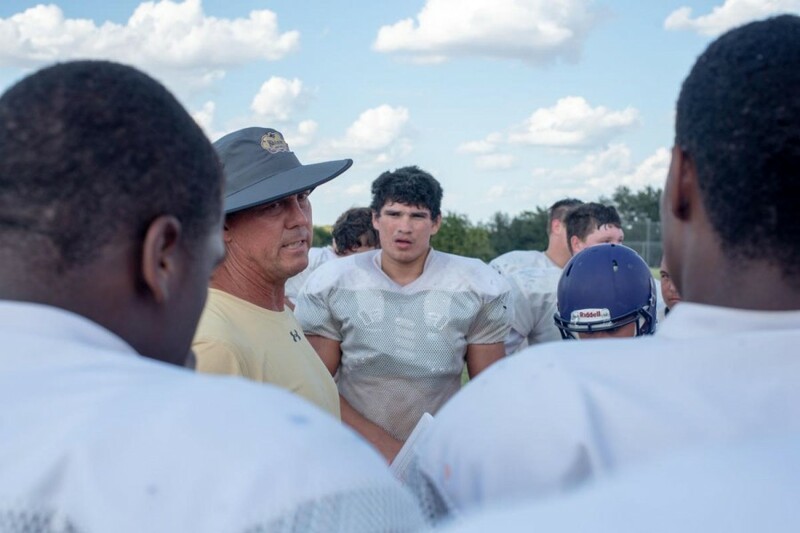 Shiner coach Steven Cerny speaks to his players during football practice in Shiner. He led the Comanches to a state football title in 2004, state baseball titles in 1992 and 2002, and state softball titles in 2015 and 2016. Shiner Superintendent Trey Lawrence knows Cerny will be difficult to replace. Shiner baseball coach Daniel Boedeker was a freshman at the school when Cerny arrived and played on Cerny’s 1992 state championship team. Cerny was Boedeker’s assistant when the Comanches won the 2002 state baseball title. “I’ve learned a tremendous amount from him,” Boedeker said. “He and I have worked side by side together for a long time. It was a lot of memories created and definitely a good learning experience for me, especially coming in as a young coach and having someone like that to follow. 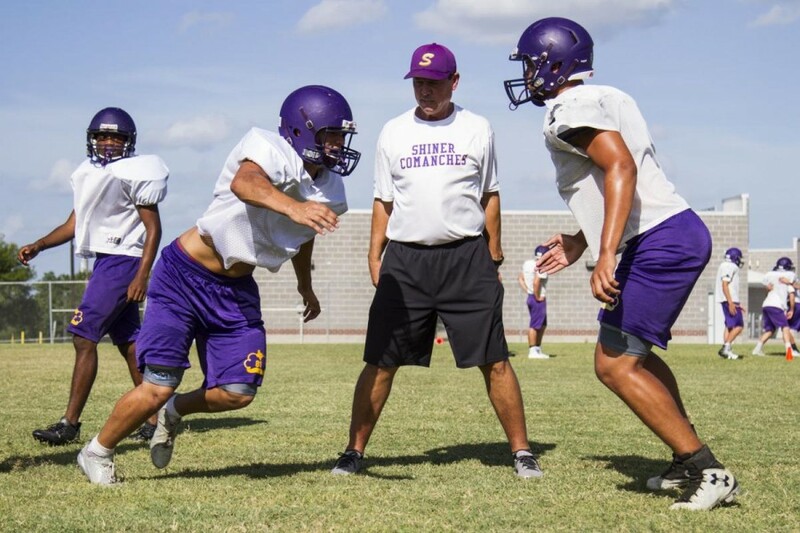 Shiner coach Steven Cerny, center, runs players through a hitting drill during practice at Shiner's practice field. Cerny was the head football coach for 16 seasons and had an overall record of 165-48. His teams advanced to the state final in 2003 and 2013. Opposing coaches knew Cerny’s teams would be difficult to beat. Lawrence said he plans to discuss hiring Cerny’s replacement with the board of trustees at Wednesday’s meeting. Cerny has no intention to slow down until his retirement is official and would love to go out with another state softball championship. Congratulations & Best Wishes, Coach Cerny ! !